SiteDesigner is a fully hosted website builder allowing you to create, manage and host your website, all from the same package. Create a website using the simple drag and drop interface. Put your text, pictures, maps, video (and anything else you can think of) anywhere on the page. Change a page’s dimensions or delete something that you aren’t happy with in just a few clicks. Use the drag and drop interface to edit your website or hand code the HTML yourself. 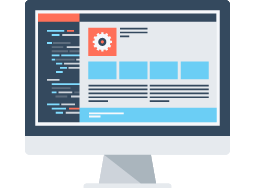 SiteDesigner has been designed to be as advanced as you need it to be. Choose from a wide range of widgets to add to your website, including Google Maps, Google Checkout, Twitter and Facebook. Just pick the widgets you want and then drag and drop to automatically activate. SiteDesigner websites are built using HTML & CSS, and we don’t use Flash. This means that all websites built using SiteDesigner work on every device, including mobile phones and tablets.